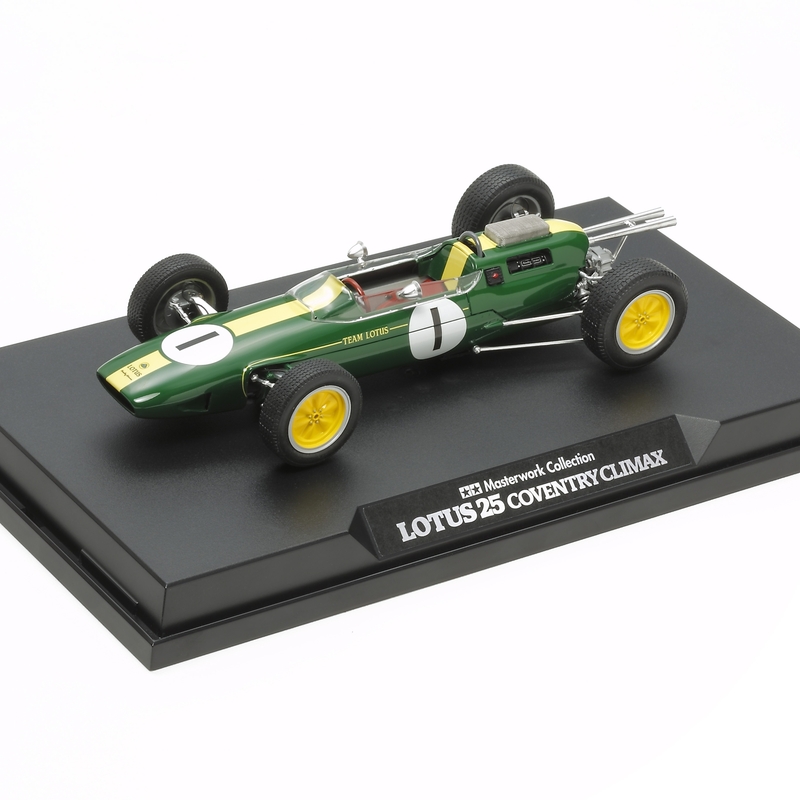 This replica quality assembled and finished model accurately recreates the Lotus 25 Coventry Climax and comes pre-painted and ready to display. The car itself is something of a legend in racing history, being the first Formula 1-entry car to employ a monocoque chassis. 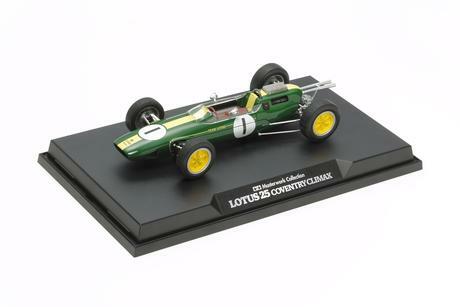 Its 1.5-liter C8 Coventry Climax engine proved to be a great partner, powering the car to 7 victories from 10 starts in its sophomore 1963 Formula One racing season.